Meanwhile, you can still catch some live streaming events the next two Wednesday's per the info below. 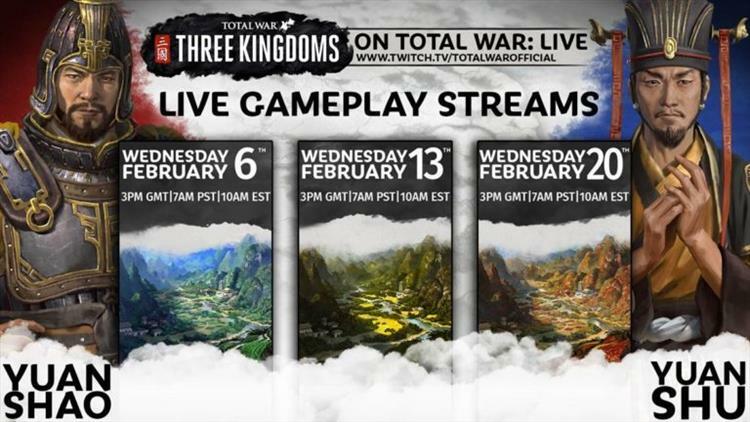 As we said, we need a little more time to make sure that this is the Total War experience that you’ve come to expect and waited so patiently for. Will you fix this specific issue? Right now, we’re not commenting on individual issues, but focusing on creating a high level of polish across the board. What do you mean by “polish”? Polish means a whole bunch of things. Such as two consecutive specific battle animations transitioning smoothly, or making sure our language and localisation is executed to the highest standard, or ensuring that the lighting is well balanced across different types of weather and environment variables. We’re looking at the whole game and seeing what we can improve. How will this affect my pre-order? The only thing that will change is the release date – your pre-order will still be valid and you shouldn’t experience any issues surrounding it. If you do have any issues or further questions, please contact SEGA support or your individual retailer.